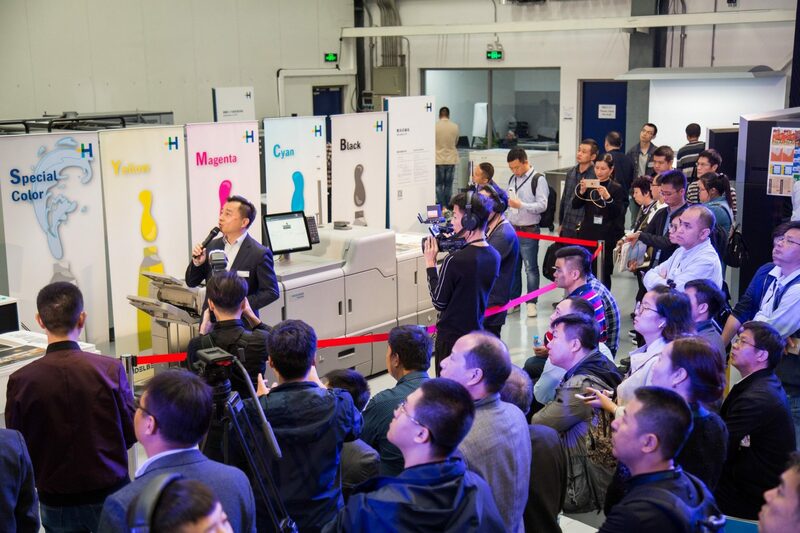 Heidelberger Druckmaschinen AG presented sustainable solutions to make commercial print shops more successful and to guide them on their way to the smart print shop at Commercial Day at the Print Media Center Shanghai, China. The fully automated process chain with a push to stop philosophy was demonstrated in networked live presentations. This optimized, intelligent production process stands for higher production reliability and thus for more productivity and cost-effectiveness. 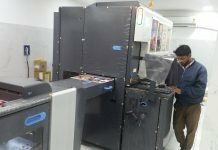 The Smart Print Shop is based on the Prinect work-flow, which completely networks and automates processes from prepress, digital and offset presses through to postpress. This reduces contact points in the production process and sustainably increases process efficiency. The visitors were impressed with the integrated and touch-point reduced operation of the Speedmaster CS 92-5 LE UV in combination with immediate processing with a Polar Cutting System 300 to the dry sheets in the delivery. Teamwork was presented between the newly launched Versafire EV and the Speedmaster SX 74-4. The high automated Speedmaster SX 74 is built – like all the other sheetfed machines on show – in the Heidelberg plant Qingpu nearby Shanghai and was first shown to the Asian market with the new feature AutoPlate Pro. The integration and pre-setting five jobs were printed in less than 15 minutes and immediately finished with a Stahlfolder machine. Thus, Push to Stop results in a production, which is easy, secure, efficient and profitable. At the end of the demonstrations, the overall equipment effectiveness was calculated and it was demonstrated how an increase in OEE can make production more efficient and job runs shorter. A Speedmaster CD 102-7+L UV presented a 7-color multicolor job, demonstrating the wide range of spot colors achievable, which covers the needs of more and more embellishment. A key component of Heidelberg’s Lifecycle Solution portfolio for customers is the Saphira consumables, which aim to maximize the OEE utilization of their presses through maximum quality, productivity and production reliability. The new Versafire generation EV/EP made its debut in the Chinese market on Commercial Day. 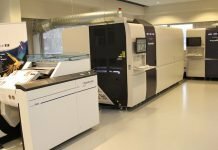 The Versafire EV digital printing system provides customers with a high degree of flexibility and creative possibilities, enabling them to further expand their digital business model through diversification and optimization. With the new invisible red special toner, there are now a total of five spot colors for the Versafire EV. Just like white, varnish, neon yellow and neon pink, invisible red provides additional embellishment options. It is now also possible to print first white and then the process colors CMYK. 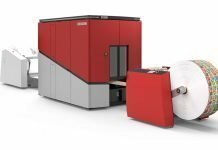 The Versafire EP is a high-performance digital printing system that scores with constant stability and high productivity. Thanks to the new inline calibration, consistent color stability is achieved from the first sheet to the last. New formats offer extended application possibilities. The Print Media Center Shanghai serves as a central showroom for China, other Asian Pacific markets and neighboring regions such as northeast Russia. Here, service solutions are presented, information events are held, and the intensive tests and analyses of equipment, consumables and workflow solutions are carried out. Customer operators are also trained here. The Print Media Center Shanghai has fully integrated workflows for commercial and packaging printers. The Qingpu plant is Heidelberg’s production site in Asia and is located nearby Shanghai. It assembles Speedmaster presses in 50 x 70 and 70 x 100 format, from four to seven-color models, mainly for the Chinese market and the Asian Pacific markets. More than 380 employees work for production in Qingpu and around 140 for sales and service for Heidelberg East China. “This is not my first time to visit the Print Media Center in Qingpu and Qingpu workshops. But I like the whole arrangement here, especially the new look of the PMC, the real production environment as a Smart Print Shop, as well as the unique live demonstrations. 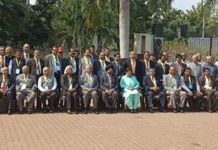 I’m really glad to join this kind of event which can broaden our horizons and help us generate our business,” stated one of the customers after his visit to the Heidelberg Commercial Day.